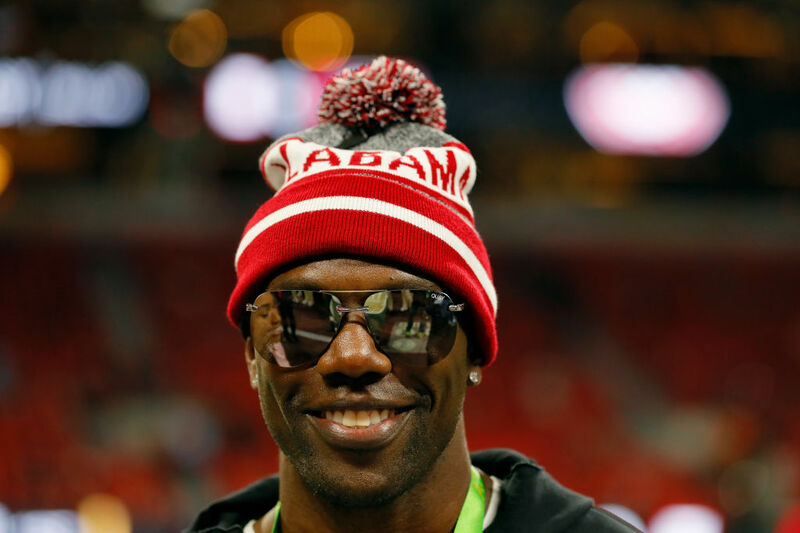 For all of his off-the-field antics, Terrell Owens was a tremendously talented wide receiver. Over 15 years, he amassed more than 16,000 total yards and 156 touchdowns, fifth-highest of any NFL player ever. That production led to $80 million in career earnings. But soon after his retirement in 2010, T.O. revealed that almost all of that money was gone. And he wants to warn current players not to make the same mistakes that he did. After all, NFL athletes in particular often experience financial troubles. Nearly four in every five come close to or experience significant financial stress, per a Sports Illustrated study. And 15 percent declare bankruptcy, despite the average NFL salary being $1.9 million. It's easy to get caught up in a flashy lifestyle, and Owens himself admits he wanted to be like everyone else. "My advice to any fan or athlete out there: just don't live beyond your means," he said, calling fancy cars and jewelry "some of the most idiotic purchase" players can make, especially if they can't actually afford them. Okay, you can trust some people, but don't blindly leave your money in the hands of just anyone. Even financial advisors may not have a player's best interests at heart. "The best thing to do is ask questions before it's too late," said Owens. According to a GQ report from 2012, Owens' financial advisors put his money in a series of risky ventures, causing him to lose a ton of money. Owens eventually demanded a full account of his finances, but by then the damage had been done. Owens did admit that the occasional splurge is okay. It's just when players are consistently living above their means, that's when things can go south in a hurry. We're not sure if Owens' $150,000 in career fines counts as a splurge, but he said they were worth it. Now, he's working to get his financial life back on track. Hopefully, other players heed his advice or they could end up in the same situation. NFL great Terrell Owens shares the four biggest lessons he has learned because of his financial troubles. Terrell Owens earned approximately $80 million in salary alone during his NFL career. Today that money is all gone. How did this happen? Drew Rosenhaus net worth: Drew Rosenhaus is a famous sports agent who has an estimated net worth of $65 million.